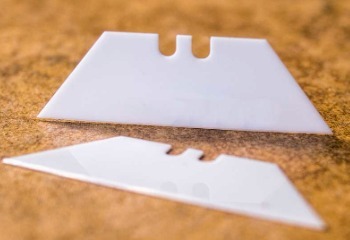 These EOD Ceramic Box Cutter Blades will fit in your standard box cutter blade handle giving you the ability to work on low voltage without risk of closing the circuit. Get a bunch so you don't run out...but do remember you can flip them over to use the other side. Sharp and strong as hell. A must for everyone's hand entry kit.